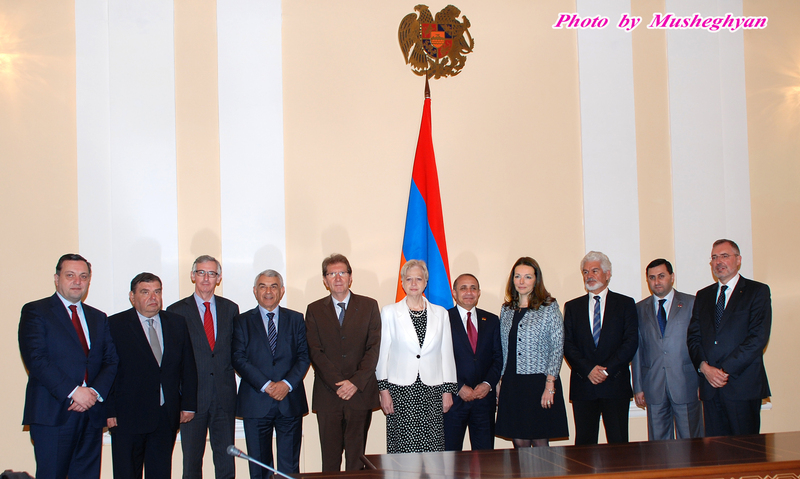 Participants and Members of the European Parliaments EU-Armenia Friendship Group met with the Members of Armenian Parliament who are also part of the Euronest Parliamentary Assembly and the speaker of the Armenian National Assembly H.E. Mr Hovik Abrahmayan. 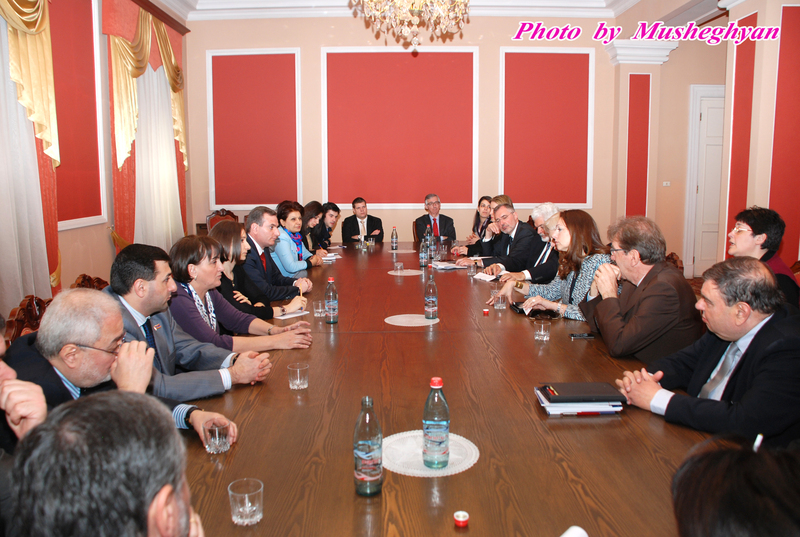 During the meetings members of the group liaised with their Armenian counterparts on a number of issues including Armenia’s progress towards completing the Association Agreement with the EU, Armenias status within the Eastern Partnership, tensions surrounding the Nagorno Karabakh conflict, the status of Armenia-Turkey relations and ideas related to future prospects of cooperation between the EU-Armenia.